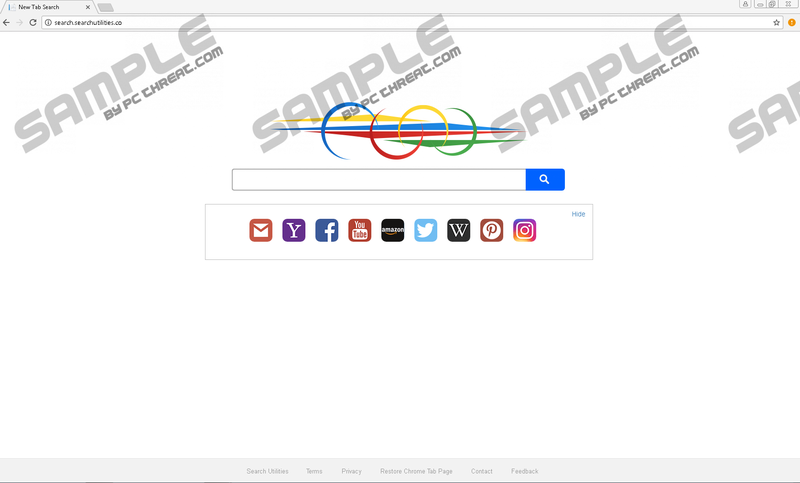 Search.searchutilities.co is nothing more than yet another browser hijacker that should not be active on your operating system. If you ever discover it up and running on your operating system do not waste any time and remove it entirely. We urge you to do so because this browser hijacker can make undesirable changes to your web browser's default settings without any notification or authorization whatsoever. It goes without saying that surfing the web the way you are used will be almost impossible. While it is one of the reasons you need to remove this hijacker, you should also be aware of the fact that this application might be the primary reason your computer could be exposed to suspicious and even potentially malicious web content. To learn how this could happen, make sure to read the rest of our report. Below we provide a detailed removal guide that you must use to delete Search.searchutilities.co in a quick and easy manner. During our initial analysis of Search.searchutilities.co it has been discovered that this hijacker resembles the functionality of other browser applications of this category such as Search.directionsandmap.com, Search.searchlttrn.com, and Search.yourpackagesnow.com. Just like its counterparts the hijacker in questions silently edits various files and registry entries as soon as it gains full access to your operating system. Such alterations manifest as a change of your default home page. It is important to note that the devious program is fully compatible with major web browsers such as Google Chrome, Internet Explorer, and Mozilla Firefox. This means that nearly every Internet users could be affected by this intrusive piece of software; thus being aware of its existence is critical, to say the least. While the change of your default homepage might not seem like a big deal, you must know that it will have a hugely negative effect on the way you experience the web on a daily basis. That is so because you will be forced to start every single online session on a suspicious third-party web page instead of a homepage that you are used to, whether you like that or not. It goes without saying that such functionality of this browser hijacker under no circumstances. If you wish to regain your web browser's default settings once and for all you need to execute a complete removal of Search.searchutilities.co. To do so, follow the instructions that we provide below. If you fail to do so, the dubious changes will remain in place. Unfortunately, invasive and otherwise annoying features of Search.searchutilities.co are not the main reasons you must delete this hijacker once and for all. Further analysis has revealed that having it active on your computer could have devastating outcomes. That is so because the search engine on a newly appointed homepage could provide modified search results. This is a dangerous instance because clicking on such a result could lead you to devious and even potentially harmful websites. There is a chance that you could end up on sites crafted by cyber crooks. In some instances, such web sites could be running an arbitrary code execution exploit, which can trigger a silent, remote installation of some unknown malicious program. If that was not enough, you should know that there is also a chance that you could find yourself on fake online shops, which could have devastating outcomes. That is so because such online stores are created by cyber crooks to steal credit card data or other sensitive information. It goes without saying that just entering any of such web pages could have detrimental outcomes. Do not take any chances with Search.searchutilities.co and conduct its complete removal right away. Make sure to execute a complete removal of Search.searchutilities.co as soon as it is found active on your personal computer. Be sure to follow the instructions that we provide below with care. This is important because a single mistake during the removal procedure could lead to an incomplete removal. In such a case the undesirable change could remain in place. In other cases, dubious traces of Search.searchutilities.co could be used for its silent restoration. To avoid all of this, simply scan your entire operating system with a professional antimalware tool once you are done with the instructions that we provide below. This way you will be sure that the removal procedure has been successful. Quick & tested solution for Search.searchutilities.co removal.